Nowadays in the age of rapid development of information technology, online communication and digital currency a lot of attention is paid towards information, however, the basis for each business still remains the product itself. For the successful sales of its products, every company needs to receive a report from an independent organisation about the compliance of the products with international requirements. Worldwide this process is called –Certification. The beginning of the 21st century was marked by the rapid growth of business all over the world and the manufacturers face complex procedures for confirming the characteristics of their products which differ from country to country. The collective efforts of international organisations have led to the standardized certification procedure. The ground for the compliance evaluation became in the EU the so called “Presumption of conformity” where the manufacturer declares the characteristics of his products and bears full responsibility. This has significantly reduced the expenses for tests and the certification, whereas the producers have received a possibility of acknowledgement on international level by means of unified methods. These are the known all over the world marking signs CE and ISO. 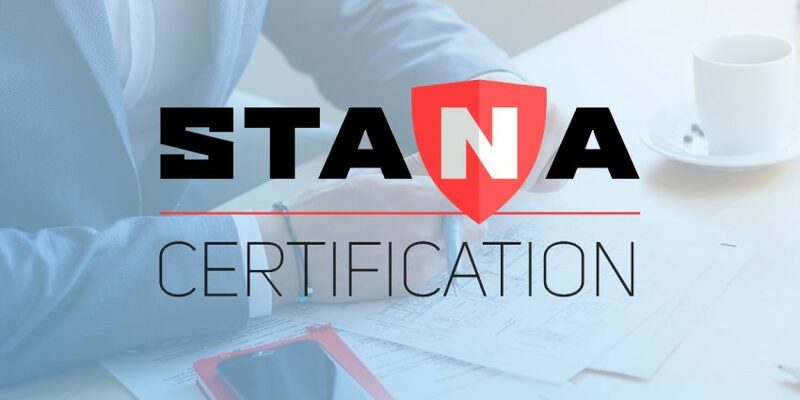 STANA carries out tests and inspection of products for their safety for people and environment as well as offers certification and supervision of compliance with European and international standards.